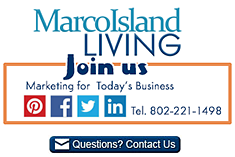 Marco Island Living promotes your business locally, nationally and internationally. Marco Island Living is part of the Multimedia Network of travel destinations, guides and online magazines. Call us at 1-802-221-1498 or complete the form below.